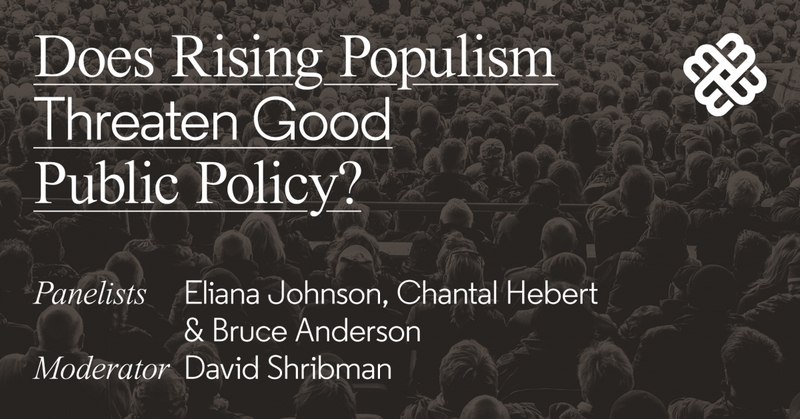 Does Rising Populism Threaten Good Public Policy? Populism is that rare phenomenon that both defies easy definition and defines movements from the United States to Hungary, from Ontario to the Czech Republic. In an era marked by the ascendancy of Donald J. Trump and autocrats in Eastern Europe, the term ''populist'' - which once actually described a formidable 19th century American force and even a political party - has special power. The Max Bell School of Public Policy has assembled a distinguished panel to examine the meaning of both the word and the movement - and to provide perspective on the politics of the age.